Garnet, the birthstone of January, is most famous for the dark red hue that shares its name. While red Garnet is one of the most common gemstones on today’s market, some of the more exotic varieties of Garnet can be very valuable. 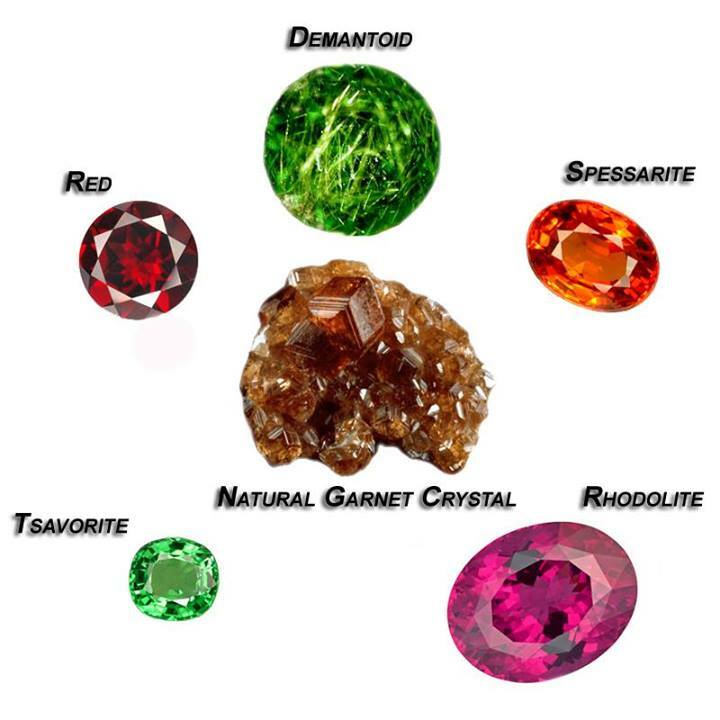 Garnet can also be found in green, pink, purple, orange, or even blue. Some Garnets even change colors, much like Alexandrite. The term Garnet denotes a whole group of very similar minerals which are all commonly known as Garnets. Garnet has been one of the most widely traded gemstones for thousands of years. One Garnet bead necklace that was found in a grave in ancient Egypt dates back over 5,000 years. Ancient Romans used carved Garnet signet rings to stamp important paperwork. 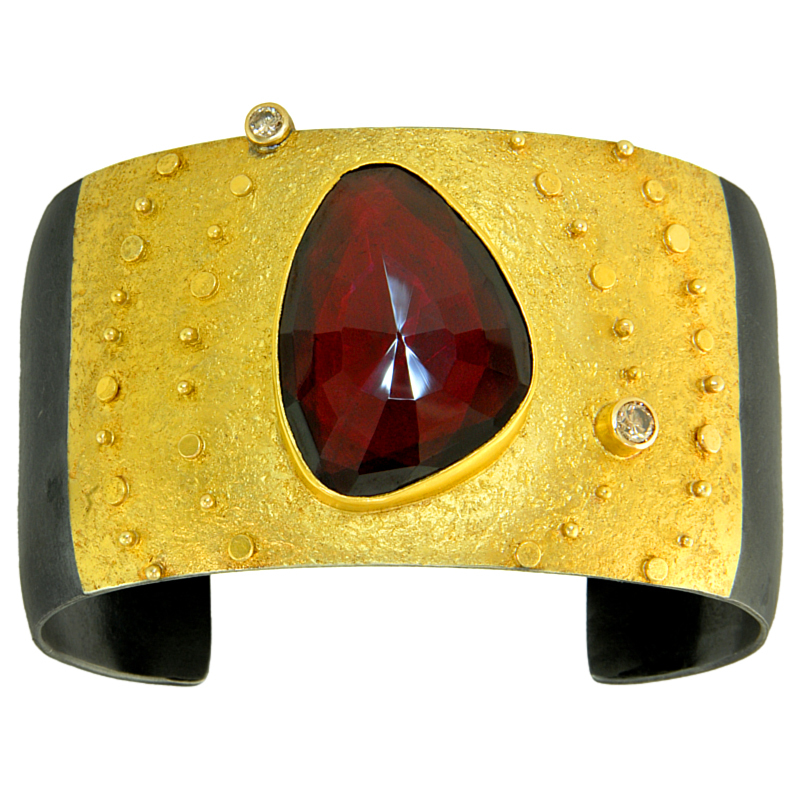 In the Middle Ages, Garnet was very popular among important officials and nobility. Today, Garnet is still prized as a very important gemstone in a wide variety of jewelry. Tsavorite Garnet: This green variety of Garnet was named after the Tsavo National Park in Kenya, where it was discovered. Rhodolite: This purple variety of Garnet can range from reddish purple to brilliant pink. 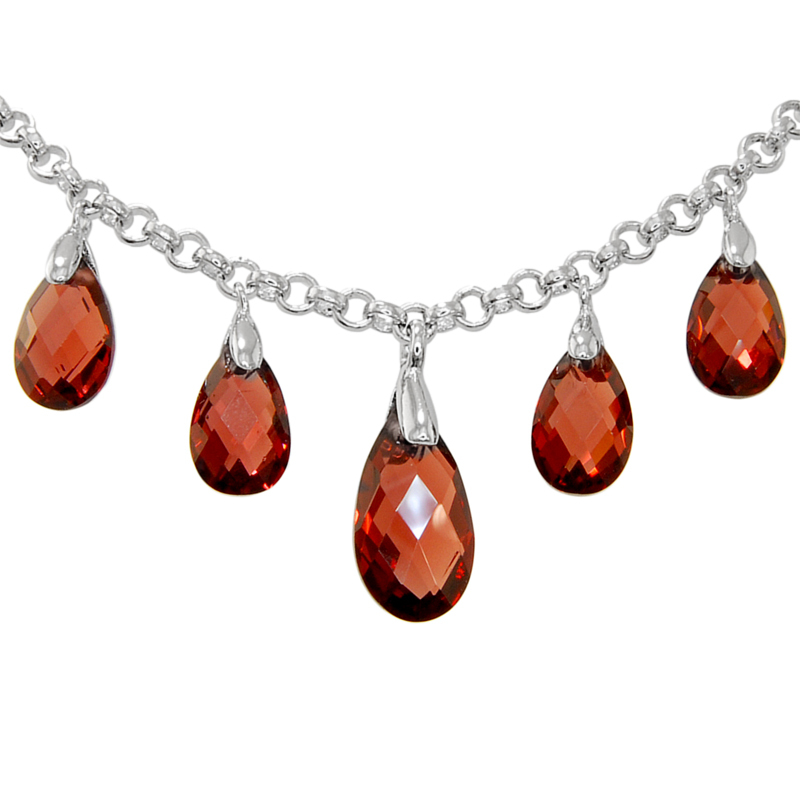 Spessarite: This variety of Garnet is known for its intense orange colors. Demantoid Garnet: This bright green variety of Garnet found in Russia is known for intense fire that rivals that of a diamond. Some specimens exhibit hair-like inclusions of tiny crystals.